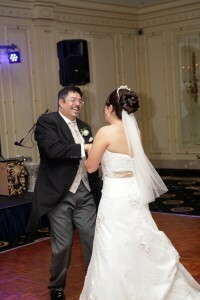 The blusher section can be part of your wedding veil or a separate section of the wedding veil. This guide will take you through the various options and questions that you might want to consider. This is an oval veil shape, it is one piece of fabric that measures the total length of the veil, including the front blusher and back length. The front blusher is then created by sewing a comb to the veil at the measurement you have chosen to create the desired length. This creates the front blusher and gives two layers when the veil blusher is worn behind your head. 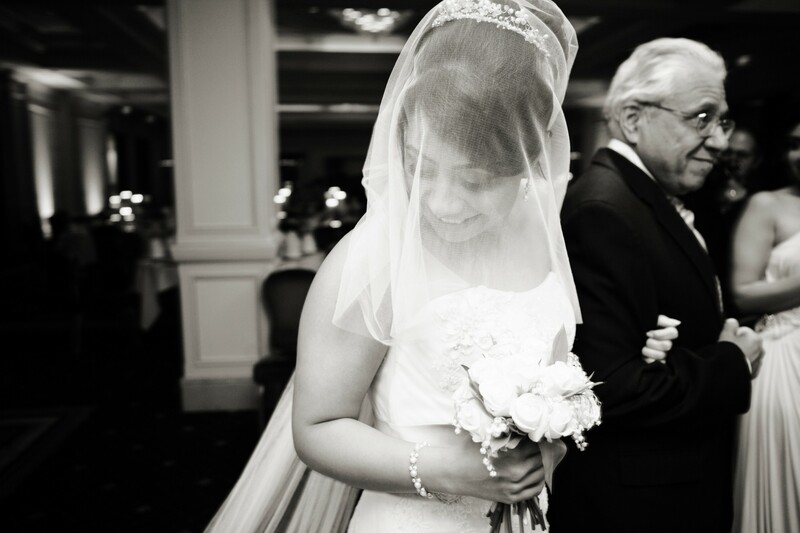 Choosing the length of an oval veil with blusher – this is the back length of the veil added to the front blusher length to create the total length of the veil required. If you choose an edging on an oval veil then the edging will be along the edges of the front blusher. The blusher cannot be detached; it will be the same width as the fabric used to create the veil. This veil is created in two sections. The fabric for the back length of the veil and the front blusher are cut as two separate pieces. These are then both sewn to the comb. 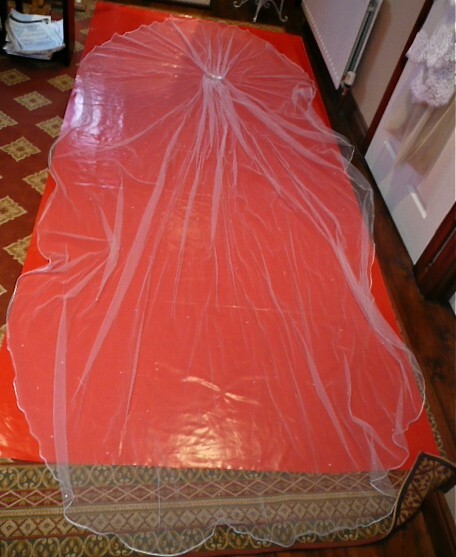 – The blusher can be created in a wider width of fabric than your veil if you would like to create the volume of a cage veil. – If you choose an edging for the back length of your wedding veil you may decide not to have the edging on the front blusher. This gives a cut edge to the blusher. – Detachable – this veil shape allows you to detach the front blusher from the veil. We can create the blusher to attach using clear poppers. This means you can detach the blusher or detach the longer length and leave the shorter blusher for the dinner and the evening. The Sarah veil is a very ornate wedding veil with a French Leivers lace edging of 13cm. In choosing a blusher without the edging it helps to simplify the design and it allows the edge of the blusher to disappear in the line of the wedding gown. 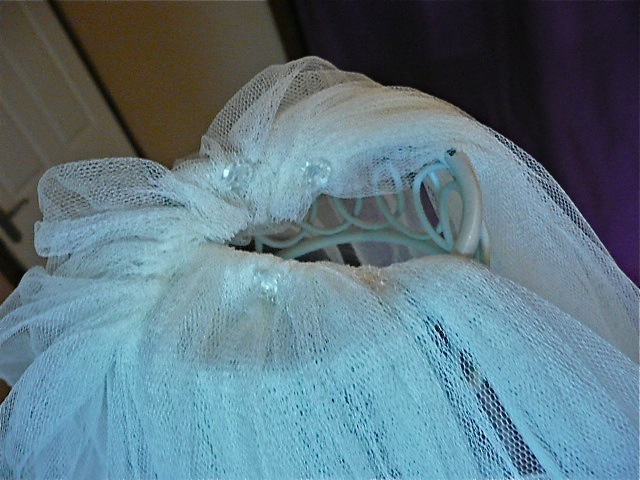 We have created a number of wedding veils for clients who have requested a detachable blusher. This can be for a number of reasons. The client may want to wear the blusher for the wedding ceremony but may not want the volume of two layers for the rest of the day. If you are considering a long wedding veil anther great idea is to remove the blusher section from the longer section of the wedding veil and keep the short blusher section of the veil on for the set of the evening.